Organizations that installed social media tools internally found a median 20% increase in employee satisfaction. They also found that when employee engagement increases, there is a corresponding increase in employee retention by up to 87%. 61% of companies may say technology makes internal communication more difficult but three quarters of companies want to increase their use of of it. With 50% of employees able to access corporate channels via their personal mobile phone, 73% of organisations are planning to increase their investment in mobile communications. Only two-thirds of organisations measure intranet hits. Nearly 70% rely on annual employee engagement surveys for feedback, rather than measuring by campaign or channel. 12% don’t measure at all. You can’t manage or improve what you don’t measure. Only 13% of employees participate in their intranet daily. 31% never do. 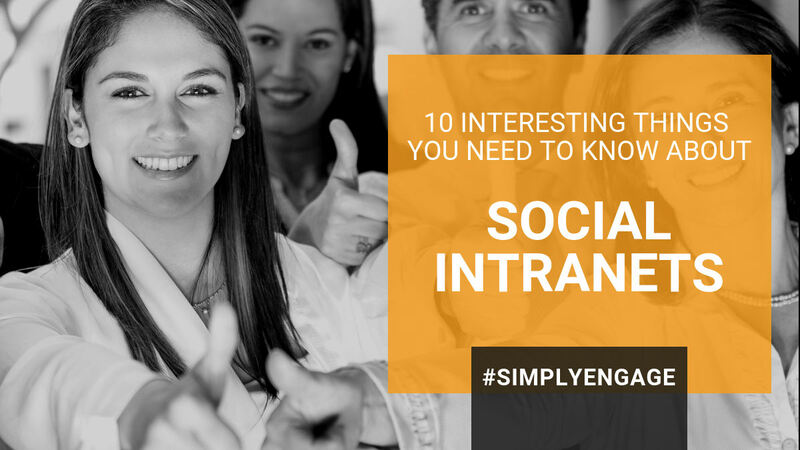 While 81% of organizations have had intranets for five or more years, most employees visit their intranet only about once a month. 75% of people use their intranet solely for HR purposes. 72% of employees rate their internal social tools as fair to poor. Most intranets are hard to use, lack the social technology to make connections, and are used mostly for top-down communication of benefits and vacation days.